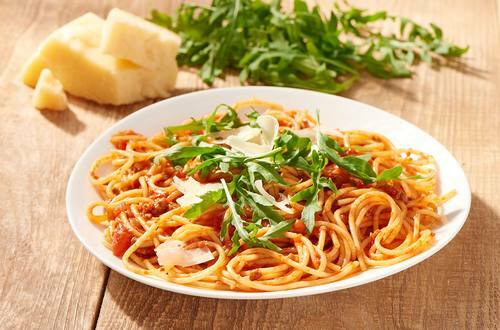 Fresh, peppery rocket paired with tomato sauce make this a deliciously inspired modern classic. 3 Add the celery and fry for 2 minutes. 4 Dissolve the Knorr® Beef Stock Pot in 300ml boiling water and add to the mince with the tomatoes, tomato purée, anchovies and dried oregano.